Scott Parker had a well-defined role on the ice. 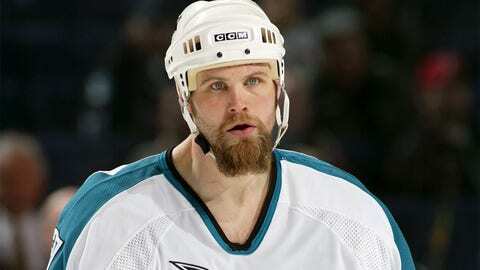 The 6-foot-5, 245-pound winger was there to be an enforcer. He clearly embraced the role. But at least one coach wanted to make sure he did his job no matter the cost, bullying Parker into playing even when he probably shouldn’t have. Parker, who played 308 games for the Colorado Avalanche and San Jose Sharks, scoring seven goals and totaling 699 penalty minutes, said former Avs coach Bob Hartley let him know he’d better keep on throwing his body and the punches around regardless of Parker’s physical condition or he’d find himself back in the minors. "He was a junior B goalie trying to tell me how to fight. He was always just degrading me. Not to be a (wimp), but he was a bully," Parker told the Denver Post. "And he could be because he was in a position of authority. What was I supposed to do as a rookie? … I was just a chess piece to him." And if Parker – who said he suffered up to 25 concussions – dared to tell Hartley he was hurting and could use a break from fighting, the coach would bring out the chocolate hammer and wave it over Parker’s head. "He would call me a [expletive[, say that Hershey [then an Avs minor-league affiliate] would be my next stop, where I’d be ‘smelling chocolate fumes all day long,’" said Parker, who last played in the NHL in 2007-08. "I remember I thought I had a broken foot and told him about it, and he called me a (expletive) and said Hershey would love me." Hartley, now coach of the Calgary Flames, declined to comment to the Post.